Why See Beastie Boys Story Told By Ad Rock and Mike D? Following their popular nationwide book tour last year, 80s hip-hop legends Beastie Boys are returning to the road and taking the page to the stage on the hotly anticipated tour of 'Beastie Boys Story Told By Ad Rock & Mike D'. Directed by frequent collaborator and iconic American filmmaker Spike Jonze, remaining BB members Mike Diamond (Mike D) and Andy Horowitz (Ad-Rock) have kept the show tightly under wraps, but many believe its set to turn the contents of their book and stratospheric success story into a fully-fledged theatrical production. Forming in 1979 Beastie Boys' first taste of success was with their experimental single "Cooky Puss" in 1983, from there they toured with Madonna before releasing their debut and iconic album, Licence to Ill. Following on from their overnight success, Beastie Boys released Paul's Boutique, Check Your Head, Ill Communication and Hello Nasty resulting in the group selling over 26 million records in the States alone and 50 million worldwide. 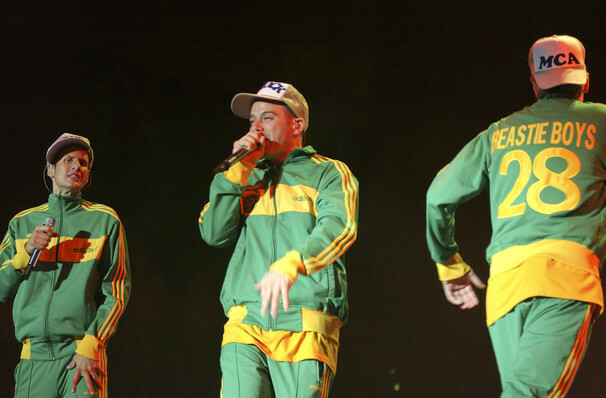 With seven albums having reached Multi-Platinum status, Beastie Boys were the third rap group to be inducted into the hall of fame, and the biggest-selling rap group since Billboard began its records (1991). Seen Beastie Boys Story Told By Ad Rock and Mike D? Loved it? Hated it? Sound good to you? 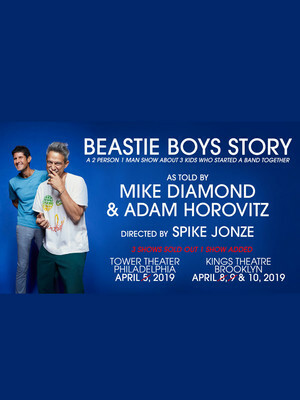 Share this page on social media and let your friends know about Beastie Boys Story Told By Ad Rock and Mike D at Tower Theater. Please note: The term Tower Theater and/or Beastie Boys Story Told By Ad Rock and Mike D as well as all associated graphics, logos, and/or other trademarks, tradenames or copyrights are the property of the Tower Theater and/or Beastie Boys Story Told By Ad Rock and Mike D and are used herein for factual descriptive purposes only. We are in no way associated with or authorized by the Tower Theater and/or Beastie Boys Story Told By Ad Rock and Mike D and neither that entity nor any of its affiliates have licensed or endorsed us to sell tickets, goods and or services in conjunction with their events.